Friday, January 31st marks the day of the 2014 Chinese New Year, and celebrations are well underway in Asia! 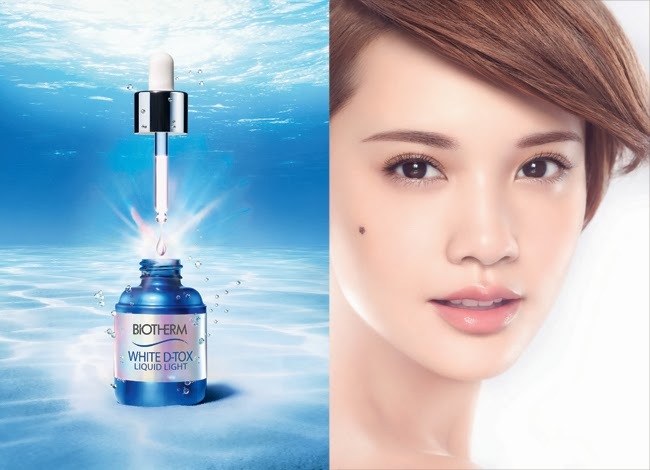 Many Asian Americans do participate in the festivities with family gatherings and the symbolic red envelopes, but today, I turn the spotlight on skin care with Biotherm! Biotherm is a French luxury skin care brand that incorporates active aquatic ingredients to create advanced skin care solutions. It is very popular in France, Canada, and of course, China. I had seen some of my favorite Asian Instagrammers posting photos and reviews of their Biotherm goodies last year, so I was very excited to try these products. I will share with you 8 iconic Biotherm products, since 8 is the lucky number of the Chinese. Let's begin with the newest whitening products! White D-Tox is a gentle brightening line of skin care that fights against skin pigmentation at every step. The White D-Tox Clarifying Lotion ($33 USD) is a toner with a fresh, lively fragrance that will contribute to a more even-toned complexion. Skin instantly looks more radiant and feels hydrated without looking oily or greasy. I apply this to the face and neck with a cotton pad after washing my face and follow with the White D-Tox serum. The White D-Tox Liquid Light ($80 USD) is a 'triple illuminating' essence. This silky serum will help to create a more translucent complexion while hydrating the skin. It has a sweet floral scent that fades quickly, and it has a milky pink tint that instantly brightens. As recommended, play "piano" on your cheeks and pinch and pat the skin until it is fully absorbed, about 2 minutes. The Biosource Total and Instant Cleansing Micellar Water ($22 USD) does not irritate my skin or cause acne flare-ups. I am very particular with the cleansing waters I use, but this Biosource version removes makeup easily but gently. I use two damp cotton pads to remove a full face of makeup, though I still reserve my waterproof mascara for heavy duty cleansing oil. When my skin is particularly sensitive or dry, I will wash my face with cleansing water instead of a traditional face wash or cleansing foam. The Biosource Exfoliating Gel ($22 USD) is a cleanser ideal for everyday use on combination skin. It has a lightweight texture without leaning watery, and the mild exfoliating beads should not irritate even the most sensitive skin. It has a very refreshing scent! The Cleansing Shower Milk ($27 USD) is a soap-free milky formula that is ideal for very dry skin since it is enriched with ultra-nourishing agents. I love the citrus essences of this body cleanser, and the formula's moisturizing agents effectively cleanse while pampering my dry skin. The Aquasource Deep Hydration Replenishing Gel for Normal or Combination Skin ($39 USD) is my favorite Biotherm product. I am so glad to have discovered this because as much as I prefer fresh, cool gels to thicker creams, it has been difficult to find a gel that sufficiently hydrates. This mint-tinted, oil-free moisturizer has a dense, plush gel texture, so it is ideal for night time use. After all these years working in beauty, the Aquasource Replenishing Gel is most likely the best mid-range moisturizer for normal to combination skin that I have encountered thus far, and I look forward to using this all year round. It non-sticky and also does not contain any shimmer particles, which I absolutely love. The Aquasource Emergency Hydration Mask ($28 USD) is excellent for immediate relief of dry patches. I also love to use it on my hands, which are prone to extreme dryness. The creamy gel mask goes to work as soon as I massage it in. I leave it on for ten minutes and wipe off the excess with a damp cotton pad without rinsing for plump, supple skin. The Aquasource Biosensitive Eye Cream ($33 USD) was specifically developed to relieve redness, tightness, and tingling sensations while instantly smoothing eye features and reducing puffiness. I save my rich eye creams for my night-time routine and reach for this lighter, fluid eye cream for day use and under my makeup. 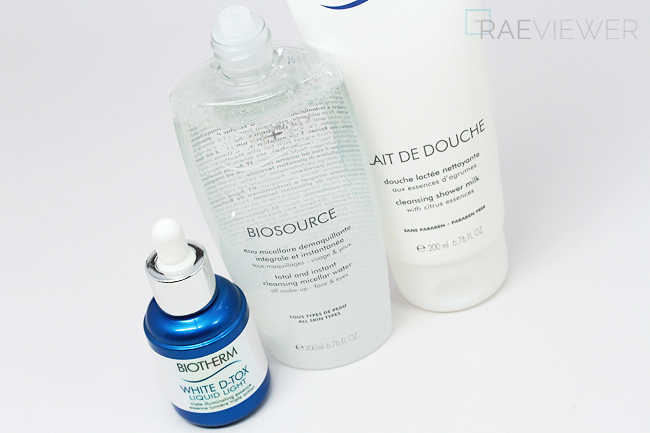 I was pleasantly surprised with my first Biotherm experience, and I highly recommend the Aquasource Deep Hydration Replenishing Gel as well as the Biosource Cleansing Water. To celebrate the 2014 Chinese New Year, BIOTHERM is offering you a discount of $20 OFF any purchase over $80 with the promo code HORSE. This code will be active until February 3rd! 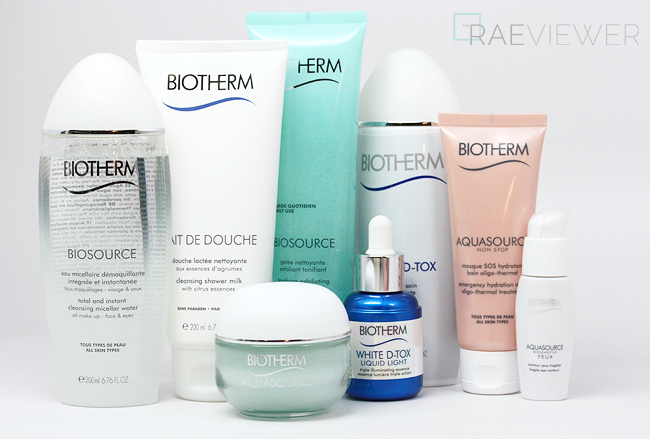 Now here's an opportunity to win your favorite Biotherm product. Officially submit your entries via the Rafflecopter widget and leave us a comment to share which of the 8 products featured here intrigued you most! I am constantly on the search for a lightweight daytime eye cream. The Biosensitive Eye Cream sounds like a promising option! The White D-Tox Liquid Light. The cleansing shower milk sounds like it'd be perfect for me! And I've been in need of a daytime eye cream, so this biotherm one sounds like a great option. I tried several products before and loved them. It's great for problem skin. I'm curious if the white d-tox liquid light could help with red acne scars or just an overall brightening effect like a "glow". I'll have to check this out since I have dry skin. Thanks for the review! I like everything you have described, but I am a bit of a mask junkie therefor my favorite item to win would be Aquasource Deep Hydration Replenishing Gel for Normal or Combination Skin. I've been having these two little dry patches on my cheeks that have been driving me CRAZY. I've been switching to light exfoliation cleansers so BIOSOURCE EXFOLIATING GEL looks right up my alley. Aquasource is also a product I'm eyeing. Thanks for the giveaway! I would love to try out the White D-Tox Liquid Light!! I never tried this brand, but I'm very interested in Aquasource Biosensitive Eye Cream. I like the white d-tox liquid light. I normally don't use any serum or essence, so I'd like to try it! I think the White D-Tox Liquid Light is the most interesting. I'm a sucker for any brightening serums, and this one sounds really nice! Definitely interested in getting my hands on these products! Happy New Year to you, Rae! I am always on the lookout for new skincare products. I've never tried a whitening lotion before. The skincare line looks promising. Would love to try the Biosource Total and Instant Cleansing Micellar Water! I love Biotherm's aquasource products. I would love to get the Aquasource Deep Hydration Replenishing Gel for Normal or Combination Skin. 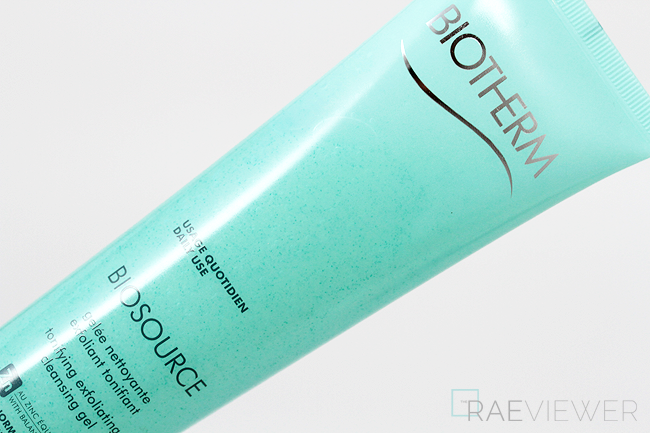 I have tried Biosource Exfoliating Gel, it's pretty good value for its price. i've tried biotherm in the past and absolutely love it. Hope I can win this one! Would love to try the White D-TOX brightening cream. The entire line looks amazing. I'm interested in the white d-tox liquid light! Never tried this line but would be really interested. The aquafresh hydrating gel looks very interesting. I'd love the Aquasource Deep Hydration Replenishing Gel for Normal/Combination Skin!. I have had breakout on my cheeks nonstop for the past 4 months and all the products I'm using...i feel like they're stripping my skin so...I really need some kind of replenishing skincare item! :) thanks for the giveaway! I'm very interested in trying out the Aquasource Emergency Hydration Mask. My skin gets super dry during the winter time, and I sometimes get dry patches. :( I think having a quick relief on the days that my skin is extra dehydrated would be so wonderful! I'm very interested in the Aquasource Emergency Hydration Mask. My skin gets really dry in the winter time, and I get dry patches sometimes. Having a quick relief on the days my skin is extra-dry would be wonderful! I would love to try this mask! eye cream! I love eye creams!! I've heard great things about the Biotherm line. My favorite item would be the White D-Tox Clarifying Lotion! Although... I love it all! Thanks for the post, and for introducing me to this new product line.,.,.. 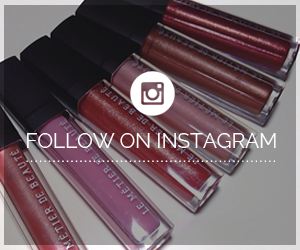 and for the fabulous giveaway! White D-Tox Liquid Light sounds nice! Thank you. The Aquasource Deep Hydration Replenishing Gel is my favorite product! I would love to try out the hydration mask! 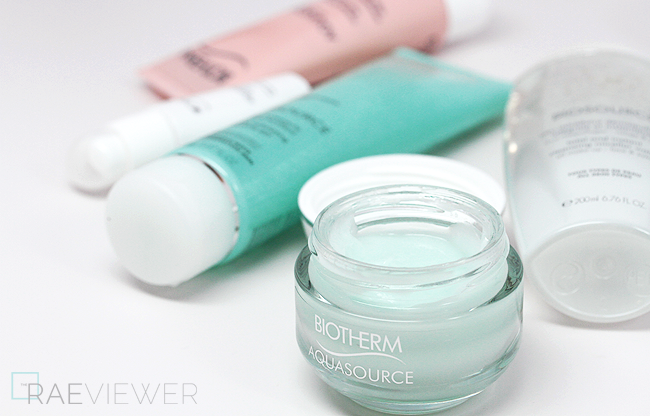 I used Biotherm in high school and loved their aquasource moisturizer. It was recommended to me by Cathay flight attendants – with the amount of travelling they to, as well as the poor and dry air circulation on flights…I am sold when they told me it’s their HG product. :) I kinda forgot about how much I liked biotherm, and am really excited to try the serum! I've been curious about this brand for a while but never tried it. Thanks for the ereview and giveaway!! The reviews really helped me pick out Aquasource Deep Hydration Replenishing Gel for Normal or Combination Skin as something i'd really like to try. I love Aquasource gel cream! It was really really really popular in Korea a few years ago and I bet it still is (I just don't know because I don't live there anymore). This one, Clinique Moisture Surge and one other Korean brand gel cream were fighting for the #1 spot. I liked keeping it in my refrigerator during the summer because it felt so nice and cool during the hot and humid nights. Been needing an eye cream. Would love to try the Biosensitive Eye Cream! I'm very interested in trying out the White D-Tox Liquid Light! I love the Biotherm aqua source line! The Liquid Light sounds wonderful! I'm always looking for a good brightening, hydrating serum. Aquasource Deep Hydration Replenishing Gel for Normal or Combination Skin! Finding any products to work with combination skin is quite difficult. I'd love to try the cleansing water! I always wanted to try their serum so it's gotta be White D-Tox Liquid Light!! i'm interested in the replenishing gel! I used to love using this brand long ago when the US dept stores carried them! I'd like to win the The White D-Tox Liquid Light as I haven't tried it before! Oh I would love to try the Aquasource hydration gel and eye cream! My sister swears by this brand, and I have used their cleanser for years as a teenager! Never fails to soothe my hypersensitive rosacea skin! I love the Aquasource line. Lightweight but hydrating. Even suitable for my sensitive skin. I wonder if the D-tox light serum is as hydrating as it seems! I am always on a search to for something that feels like the Estee Lauder Night Repair after it soaks in but also brightens! The White D-Tox Liquid Light sounds awesome. Have used Biotherm before, but not this essence. The aquasource deep hydrating gel is amazing! the white detox liquid light looks so nice, love to try it out!! I have skin that will get oily within a couple of hours but at the same time, is so dehydrated. It's more like I have oily, flaky skin. So I'm always looking into moisturizers that will give me enough hydration without being too heavy, therefore I am very interested in trying the Aquasource Deep Hydration Replenishing Gel for Normal or Combination Skin . I've tried a sample of The Aquasource Deep Hydration Replenishing Gel for Normal or Combination Skin and it's great for my dehydrated skin! I have always loved the replenishing gel! It is my favorite from the line. The Aquasource Deep Hydration Replenishing Gel for Normal or Combination Skin sounds absolutely amazing! I have been relying on the Laneige Water Sleeping Pack for extra moisture, but it is a mask, so this gel formula sounds like a great alternative. The Aquasource Deep Hydration Replenishing Gel definitely intrigues me; the winter weather has been especially brutal this year and I've been desperately trying to find something to help with my dry skin. The Biosource Total and Instant Cleansing Micellar Water! I would like to try the Aquasource deep hydration replenishing gel! 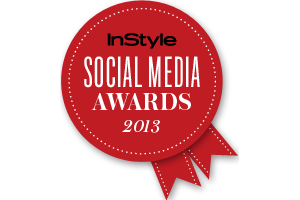 Great contest! I've always wanted to try Biotherm products. I've heard such good things. Definitely the White D-Tox Liquid Light. I am always looking for products to hydrate my skin and I love mild scents or scents that go away pretty quickly. I'd love to try the White D-Tox Liquid Light. I'm always looking for new products to hydrate my skin and it's a plus that it has a floral scent that fades quickly. I'm always looking for my HG Eye Cream! The Liquid Light sounds amazing!! The White D-Tox Liquid Light seems really good! I'm really interested in the Deep Hydration Replenishing Gel. As someone with combination skin, it's tough to find something that will be hydrating enough for the dry parts but not too much for my oily nose. Aquasource Deep Hydration Replenishing Gel for Normal or Combination Skin sounds perfect for my dry skin! I would love to try the Aquasource Deep Hydration Replenishing Gel! The White D-Tox Liquid Light sounds promising for my sallow skin! I would want to try the mask because I love masks and have dry skin! I think I'd like to try the Aquasource Deep Hydration Replenishing Gel for Normal or Combination Skin. Love gel moisturizers, especially for the summer! I would love to try Biotherm's line, but especially Aquasource Deep Hydration Replenishing Gel because it was your favorite item from the bunch. Thanks!!! Thank you so much for this giveaway. I'm really curious about this line, especially White D-Tox Liquid Light. I am still looking for the perfect lightening serum for my hyperpigmentation and sun spots. These products sound amazing! Ive never heard of this brand before. I'm always looking to try more micellar products so I'm really interested in the Micellar Water, as well as the Hydration Mask! Definitely interested in the Aquasource Emergency Hydration Mask. I am on what seems like and endless search for a good moisturizer, I would love to try the Aquasource Deep Hydration Replenishing Gel! First time entering any type of contest online like this. 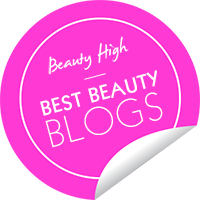 I've been searching high & low for blogs and websites that provide quality, honest & detailed reviews on skincare products. Very interested in the White D-Tox Liquid Light & White D-Tox Clarifying Lotion.